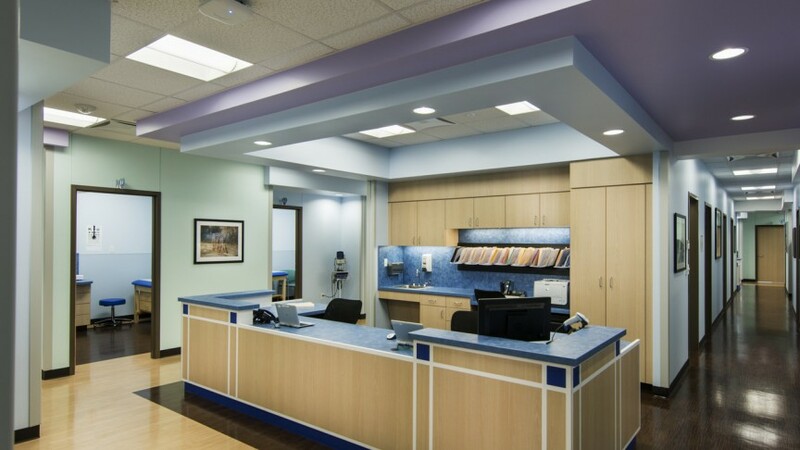 This four-physician facility serves the pediatric clinical needs of Southern Fort Worth, Texas. 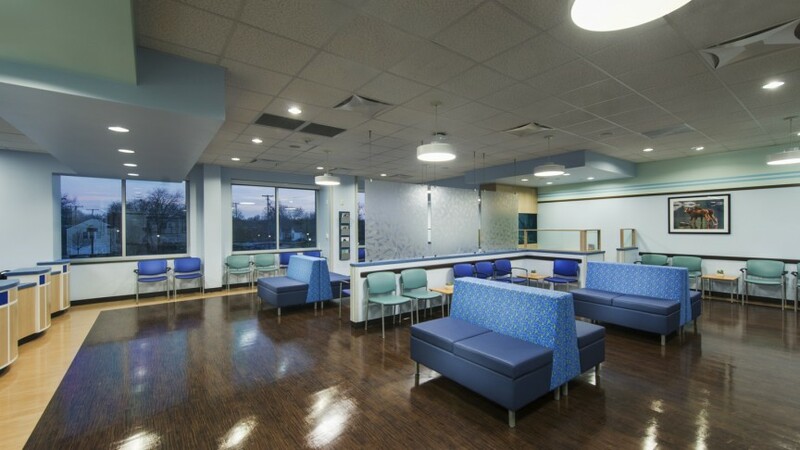 It is designed in a clinical pod layout with shared support spaces in its core, core support spaces are shared at the center of the layout. 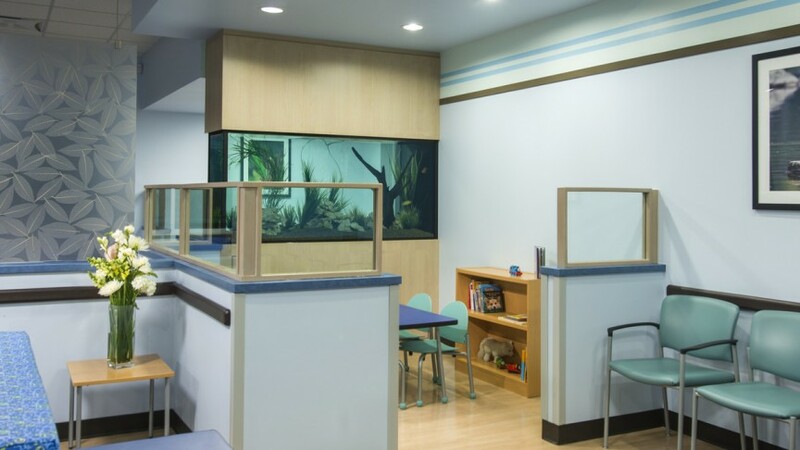 14 treatment rooms allow each physician to have 3-4 rooms dedicated to their patients, with vitals and dictation space directly accessible from the rooms. 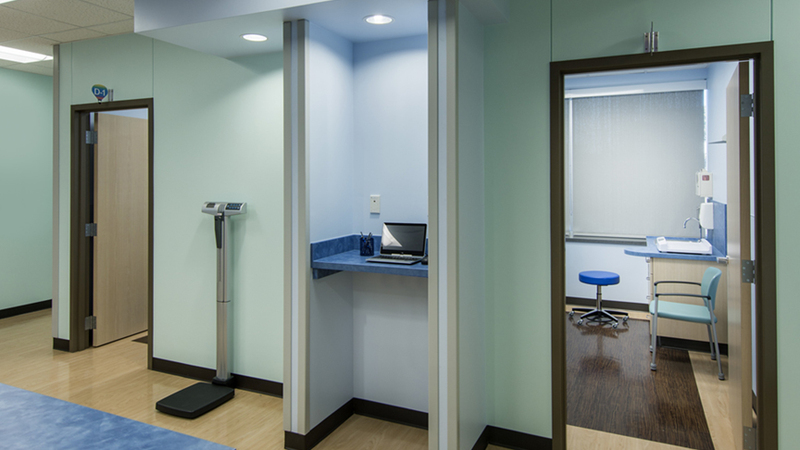 Medical Assistant stations bookend the clinic, providing ideal visibility to patient areas. Wood grain finishes and cool hues complement the space, and enhance Cook’s brand recognition while providing a calming, meditative atmosphere.